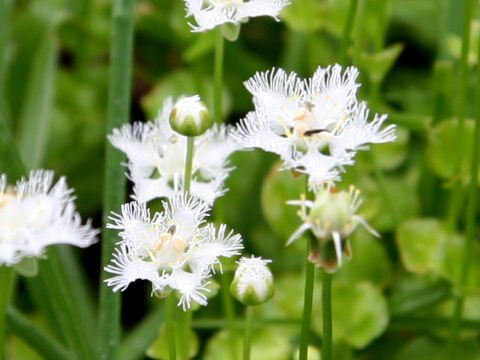 "Shirahige-so" (Parnassia foliosa var. 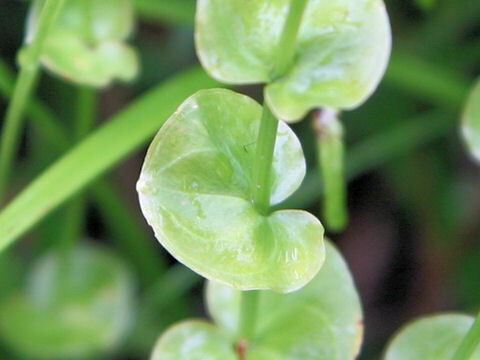 nummularia) belongs to the Saxifragaceae (the Saxifrage family). 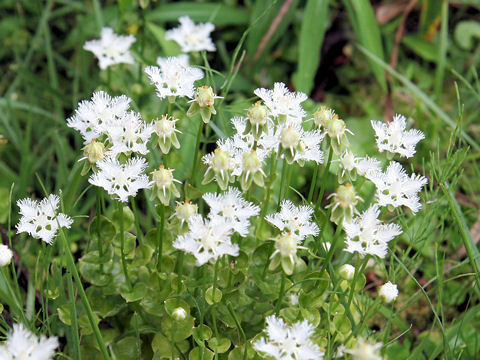 It is a perennial herb that is distributed westward from Chubu district of Honshu to Shikoku and Kyushu. 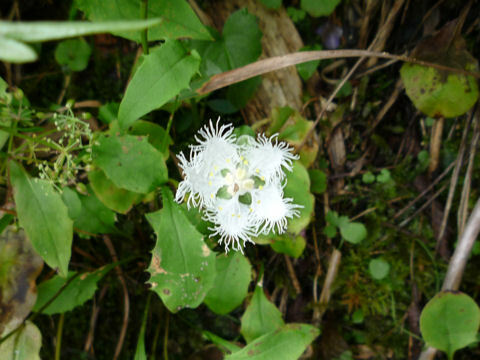 This herb grows in montane marshes and can reach 10-30 cm in height. The basal leaves are cordate-round with long petioles, the cauline leaves are sessile and enfold stem. 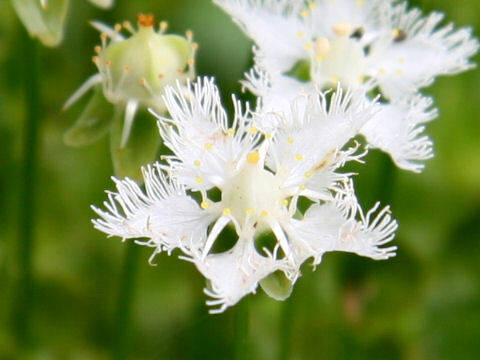 The flowering stalk is borne and the white flower bloom solitary from August to September. 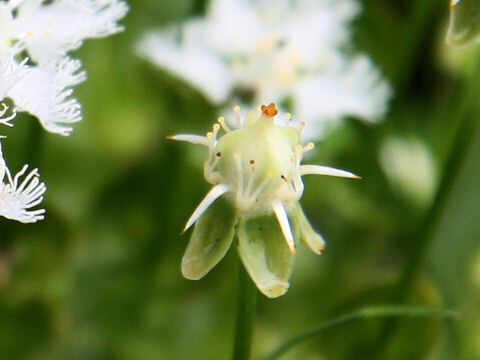 The edges of petals are divided into filiform.